This fab bed & breakfast guest house occupies a nifty position for trips to Ascot Races. Located opposite South Forest just off the A332. This beautiful Victorian property can be found on the outskirts of Ascot and Windsor. Visit Britain has awarded it a respectable four-stars and its gentle air of sophistication will suit those guests who just love a bit of class. It's also really practical for hopping into Windsor town centre (roughly a 10 minute drive). Windsor Forest is nearby and of course you have all those major, glittering attractions on tap too, including the Castle, Thorpe Park and the increasingly popular Legoland. This former traveler's inn enjoys extensive views of the deer park with historic buildings and the Racecourse is less than a 5-minute drive away. The rooms are divided into 4 themed guest areas: the Ascot Room, the Garden Room, the Windsor Room and the Woodside rooms. 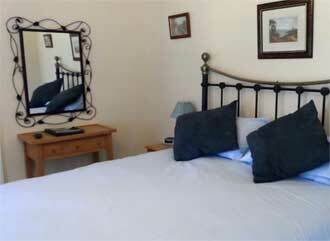 Each of the rooms at Bluebell House boast top-quality furnishings and a gentle country-cottage atmosphere. The Garden Room is situated at the back of the house overlooking the garden. Guests can use the garden steps from the car park to the back garden and enter the room that way. The room also has a private veranda. Several of the rooms feature French windows with views out over the grounds. A continental breakfast can be enjoyed on a daily basis and is served in the privacy of guests' rooms.